Description: A ritual named "dondi" is performing by the women devotees where they cross the long way to the temple after taking bath at river and by stretching on the road under the scorching heat of hot summer. During this process, young babies are kept to their feet as it is believed that the babies will be blessed by the holy power of the devotees and they will be protected from the diseases. 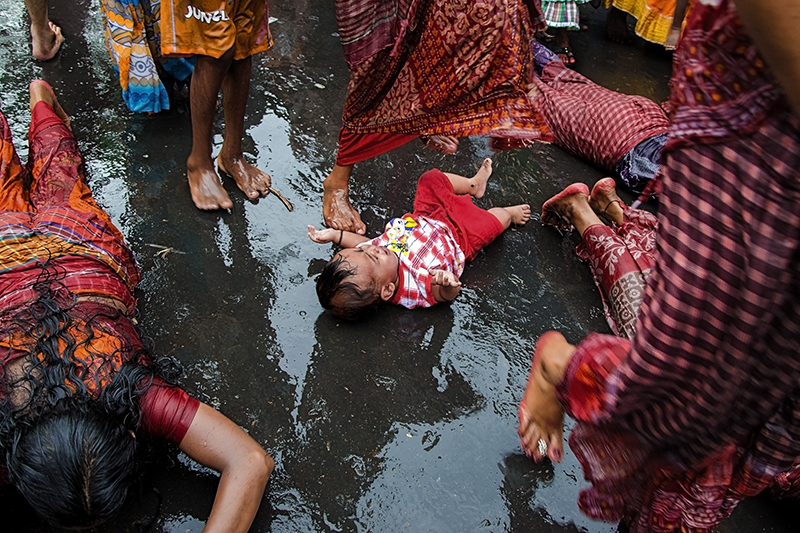 Caption: A ritual named "dondi" is performing by the women devotees where they cross the long way to the temple after taking bath at river and by stretching on the road under the scorching heat of hot summer. During this process, young babies are kept to their feet as it is believed that the babies will be blessed by the holy power of the devotees and they will be protected from the diseases.